Yoga Journal reports that nearly 15 million U.S. adults currently practice yoga, and more than 35 million Americans intend to try yoga in the next twelve months. 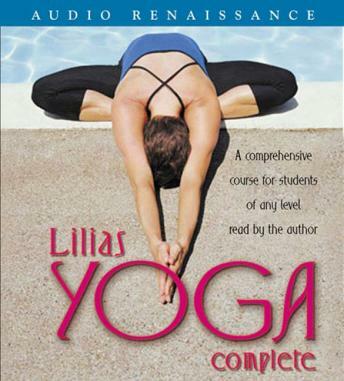 Now, Lilias Folan, America's best-known yoga teacher, presents a complete conditioning program for those who want to bring the enjoyment, relaxation, and health benefits of yoga into their lives. Step by step, Lilias guides you through the art of total mind-body wellness. The CD for beginning students provides an easy-to-follow low impact introduction to Hatha Yoga, including a coordinated series of warm-up stretches, special morning and evening exercises, and a half-hour yoga class.